Live Capri in all its charm. 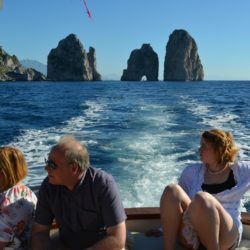 A full day sea experience, several exclusive and personalized boat tour proposals, designed to offer you a unique and unforgottable experience, to discover the extrordinary beauty of Capri Island. 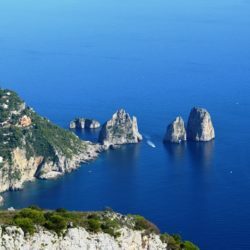 Capri Island, famous in all the world, is ready to charm you with the incomparable beauty of its natural treasures, in a fantastic tour of the island by sea, absolutely not to be missed. 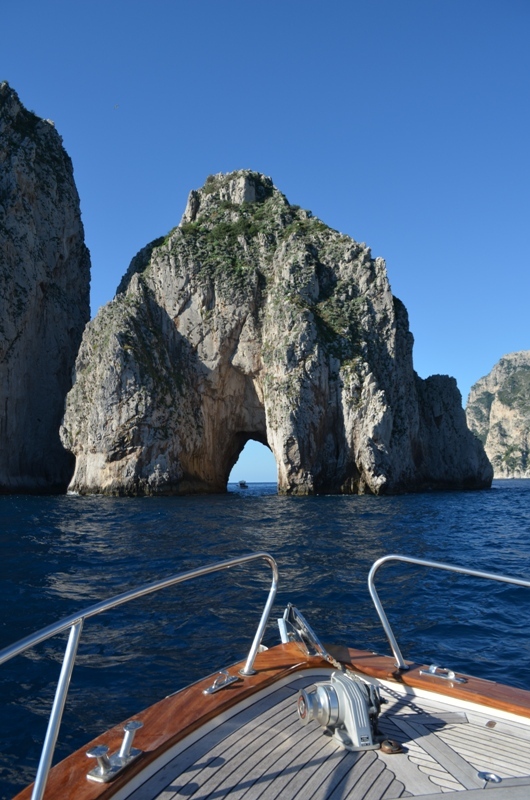 An exciting Full Day Excursion to discover the Island of Capri. 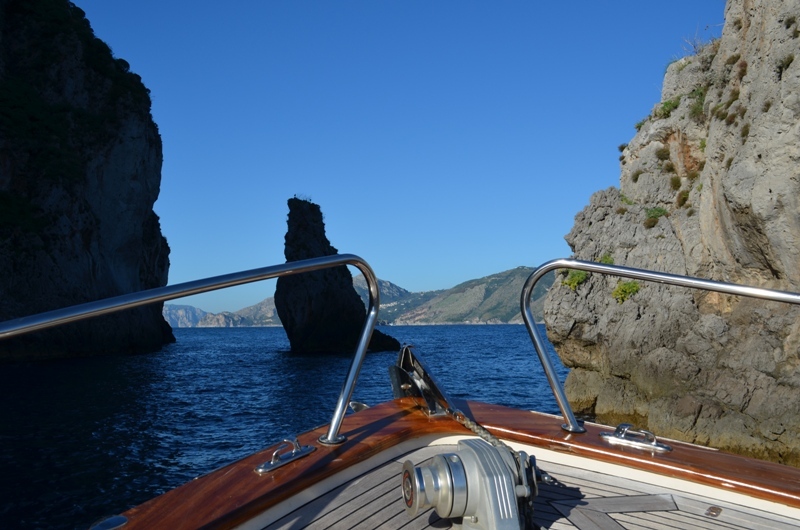 Starting from Maiori you will reach Capri in about 2 hours. 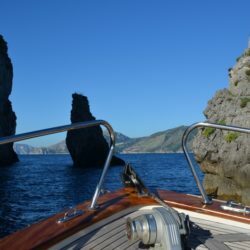 Along the route you will have the chance to pass through the wonderful Li Galli Islands, whose name is attributable to Mermaids Legend, who were living there. 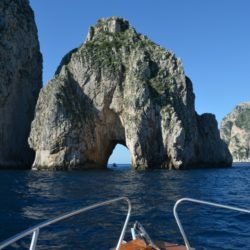 At the time of your arrival to Capri you will start your tour of the island by sea, enjoying the following attractions: the Drop of Tiberio, the Wonderful Grotto, the White Grotto, the Natural arch, Malaparte’s red Villa, the Red Coral Grotto, the Faraglioni, Marina Piccola, the Green Grotto, Carena Promontory, and the Blue Grotto (stop and visit to payment). 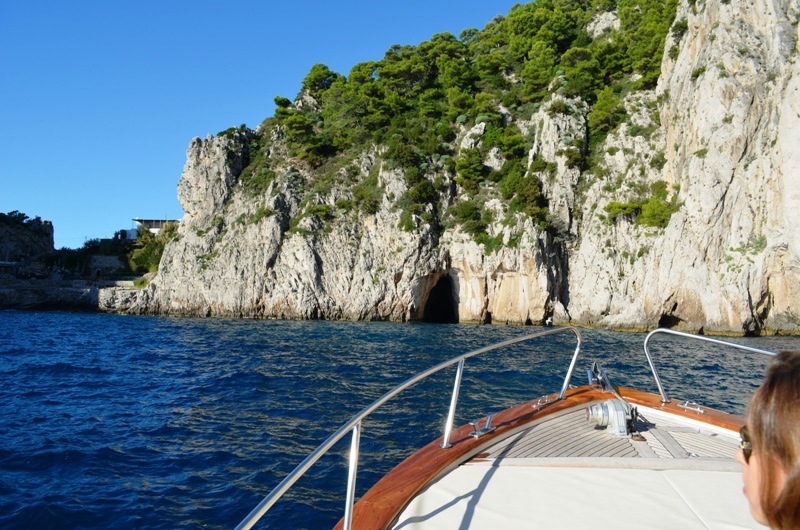 The tour of the island will end by landing to the Harbour of Capri, where you will have about 3 hours free, to spend on the island. All the connections of the island will be available at few minutes from the landing point (bus, taxi and cable railway). During the way back a pleasant swimming stop, along the stretch of the Amalfi Coast, close to Positano, to end your unforgettable experience. 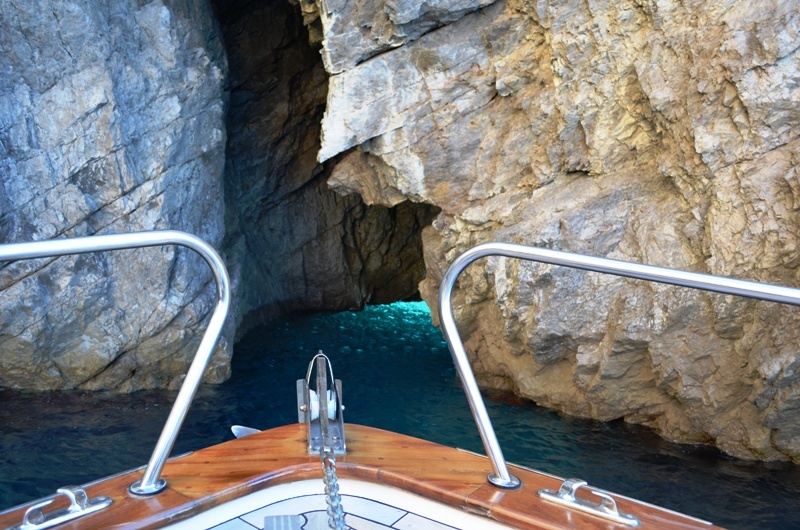 The access to the Blue Grotto is to payment (€ 15,00 per person).Because of the very long waiting time and due to the conditions of the sea, to check directly on place, we are not able to guarantee to our guests to visit it. In case the waiting time will be longer than 15 minutes we will not stop to visit the grotto. The guests will have the chance to reach it by bus. 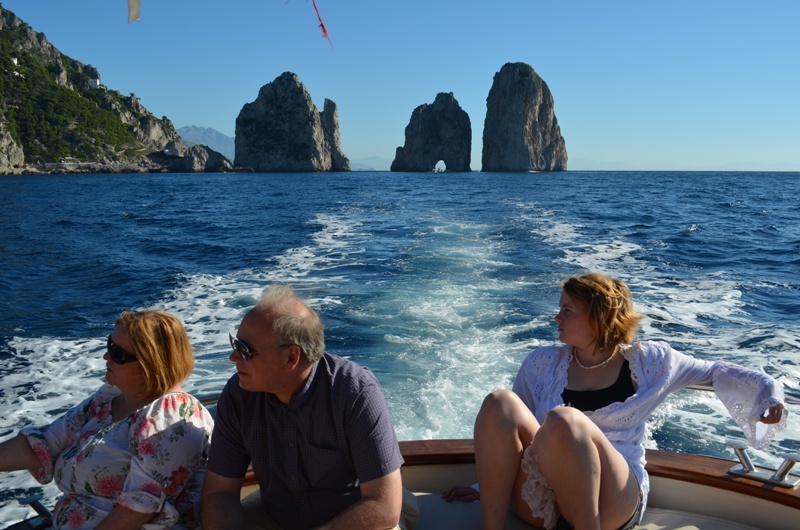 Do not lose the chance to plan your personalized boat tour, to enjoy the charm of one of the most beautiful and renowned island in the world: Capri. 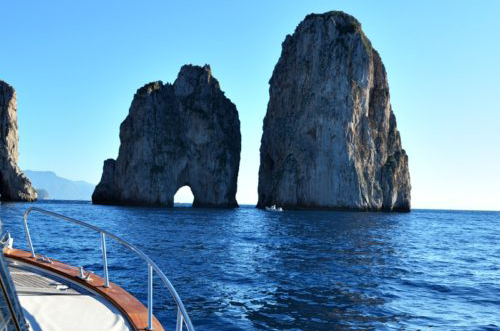 Capone Servizi Marittimi will be very proud to offer you its experience and the comfort of its beautiful boats, to plan a fantastic full day boat tour (9.00 am – 5.00 pm), to discover Capri Island. On board of our fully equipped boats, (bathroom on board, bar service, sun cushions, sun covering and outdoor shower) you will have the chance to enjoy the pleasure of the sea and of the sun and the wonderful coast overviews, that will accompany you until the sunset. We suggest you to start your Full Day Capri Boat tour around 9.00 am and maximum at 10.00 am, in order to have the chance to completely enjoy the time at your disposal, considering that the navigation time will be of 1 hour and 30 minutes up to maximum 2 hours and 30 minutes per way, depending on the speed of the boat that you will decide to rent. 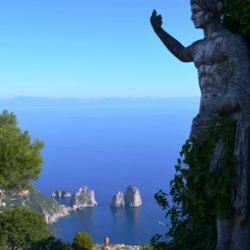 Before to reach Capri we suggest you to plan a pleasant stop to the wonderful marine park, surrounding the famous Li Galli Islands, the mythological residence of the mermaids, to spend an exclusive swimming time breack. 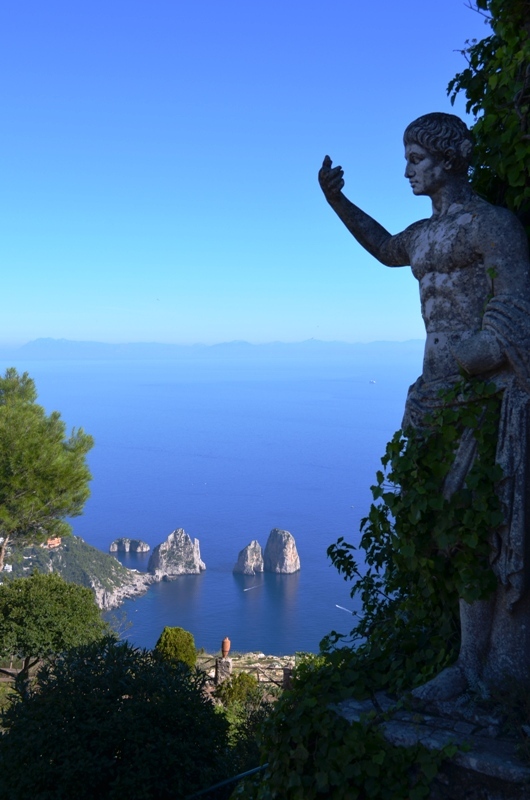 The view of Capri Island by sea is an appointment not to be missed, thanks to its natural treasures, placed everywhere. 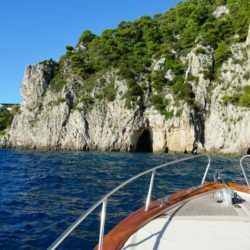 During your tour around the island, you will have the chance to admire the beautiful Capri Grottos (White, Green and Blue Grotto), to cross the stretch of the sea between the majestic Faraglioni, to embrance the sea view of the famous Marina Piccola, to run along the characteristic Lighthouse of Punta Carena and to explore amazing bays. 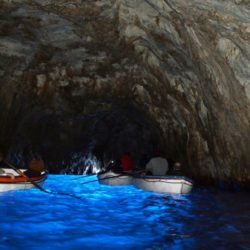 We remind you that all the Capri caves dispose of free access, except for the Blue Grotto, whose admission ticket has a price of about € 15,00 per person. 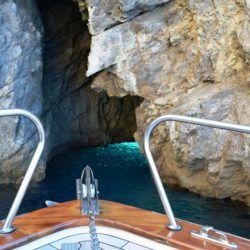 To visit the Blue Grotto, you must disembark from our boat and enter with one of the waiting rowboats, which are small enough to pass through the cave’s mouth. This system implies that waiting queues, to access the cave, are almost always very long. 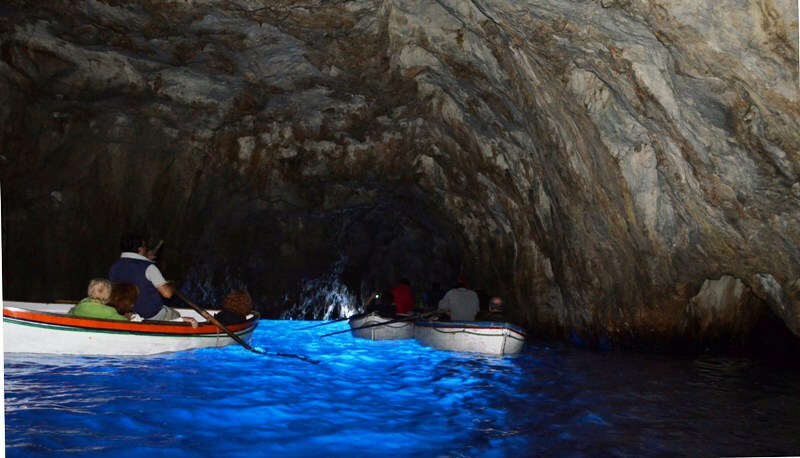 The small entrance, moreover, of the cave requires that there are optimal sea conditions to access it, otherwise access will not be possible and the Grotto will remain closed to the public. The marine conditions are to be verified directly on place. 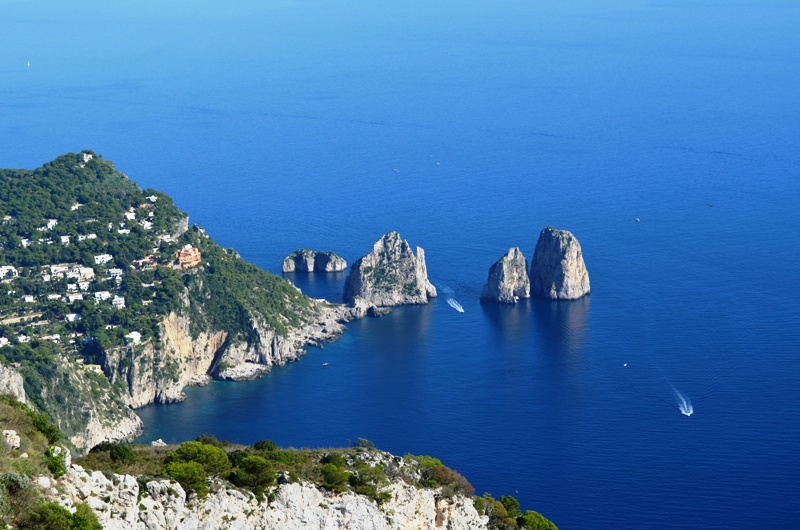 You could choose to plan a special stop, for the lunch time, in one of the characteristic restaurant of Capri, placed directly on the sea, where the local culinary tradition meets the sound of the sea. Marina Piccola offers a great choice of good restaurants, overlooking the Farglioni. By getting off to one of the Restaurant of Marina Piccola, for the lunch time, you could decide to reach the centre of Capri, by bus or taxi, in few minutes and to dispose of a free time (the free time at your disposal on the island will be exactly quantified according to the other stops of your boat tour and the kind of boat selected) to go around Capri by yourself. The return time will be at 5.00 pm. The golden lights of the sunset will accompany you along the way back and will frame your last unforgottable stop for the swimming time, to eventually spend in one the most fascinating bay of the Amalfi Coast. la consiglio a tutti, rilassante e divertente nello stesso tempo, il capitano gentilissimo e disponibile.